This entry was posted on February 14, 2015 by OBTGAME. 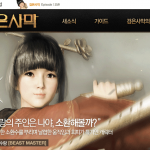 Black Desert OBT KR had been released on 17th December 2014. Many players are waiting for English server. Maybe its EU and US server will be around in 2015 or 2016. 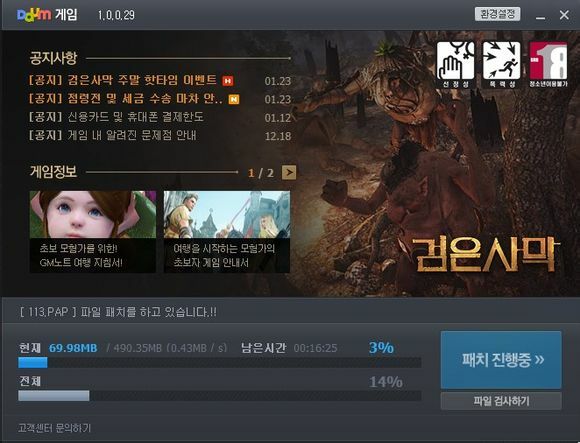 If you can’t wait and want to play BD KR server now, The point is get verified Black Desert OBT KR account. As we all know that 99% Korean online games required to verify KSSN or iPin. 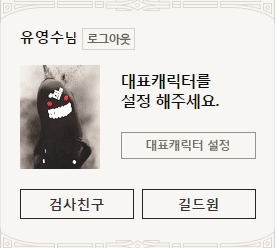 You can register account on the internet, but you can’t play Korean online games with unverified account. If you want to play Black Desert OBT, please read instructions carefully. 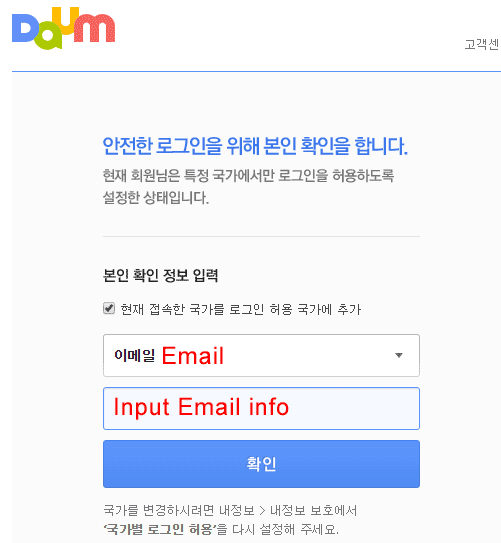 Once login and you haven’t get Korean IP address,otherwise Daum will ask you to verify account info. Options 1: Verify Email. If we have sent Email to you, please select 이메일 (the last option is Email) to verify Email. Options 2: Verify Nickname. 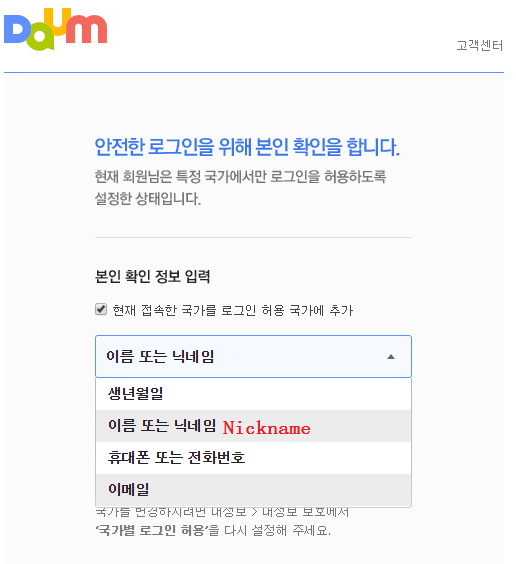 If we have sent Nickname to you in account info, please select 이름또는 닉네임 (the second option is nickname) to verify Nickname. Players can download its client on http://black.game.daum.net/black/pds/download/index.daum after login. As I know, it is available to download BD client without VPN. Sometimes VPN disconnected suddenly which will break files that players are unable to launch client successfully. So please download BD client without VPN. 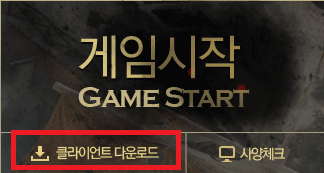 After downloaded client completely, you have to login BD KR website to tap “Game Start” button to launch. 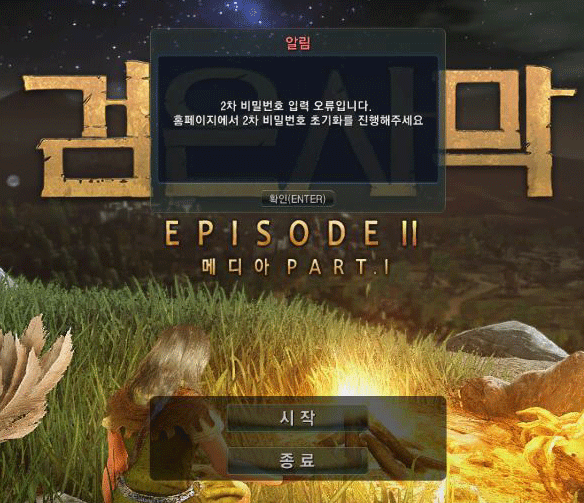 As I know, Black Desert KR will verify IP address when launching. 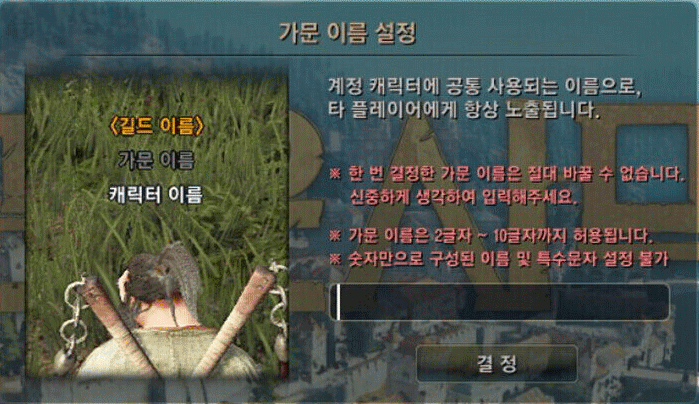 So players must get Korean IP address before launching client. Once launch successfully, you can disconnect VPN to play it with your local network. If you don’t have Korea VPN services, you can consider to Buy Asia VPN package. 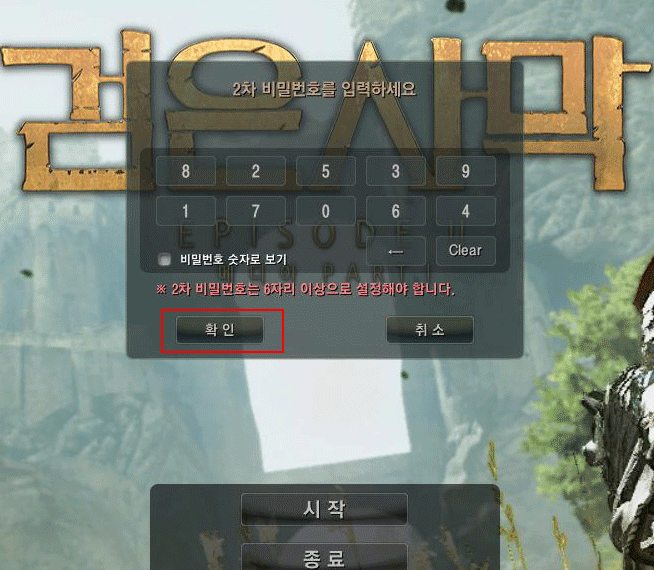 Once access game, it will ask you to set 6 digits secondary password, which is not your account password. Please input the same numbers two times to confirm. If not, your account will be blocked. Please be care to input same password two times after login Black Desert. Don't input too simple secondary password like "123456". If you are still input "123456", your account will be locked. It will pop up the error message as photo below. Once locked, we can provide unlock service. But we will charge $4 for unlocking your account. But please take note not all account will work for we aren't using all Korean phone numbers we used forever. Please consult before unlocking. Visit the unlock 2nd password webpage reset-2nd-password-of-black-desert-korean-obt-account to unlock now!